Who's the Boss? is an American sitcom created by Martin Cohan and Blake Hunter, which aired on ABC from September 20, 1984 to April 25, 1992. 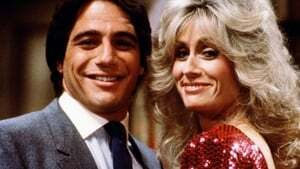 Produced by Embassy Television, in association with Hunter-Cohan Productions, and Columbia Pictures Television, the series starred Tony Danza as a retired major league baseball player who relocates to Fairfield, Connecticut to work as a live-in housekeeper for a divorced advertising executive, played by Judith Light. Also featured were Alyssa Milano, Danny Pintauro, and Katherine Helmond. The show received positive reviews throughout most of its run, becoming one of the most popular sitcoms of the mid-to-late-1980s. The series was nominated for more than forty awards, including ten Primetime Emmy Award and five Golden Globe Award nominations, winning each one. Also very successful in the ratings, Who's the Boss? consistently ranked in the top ten in the final primetime ratings between the years of 1985 and 1989, and has since continued in syndication worldwide. Write a review for Who's the Boss?